Carla Communion Veil in White. 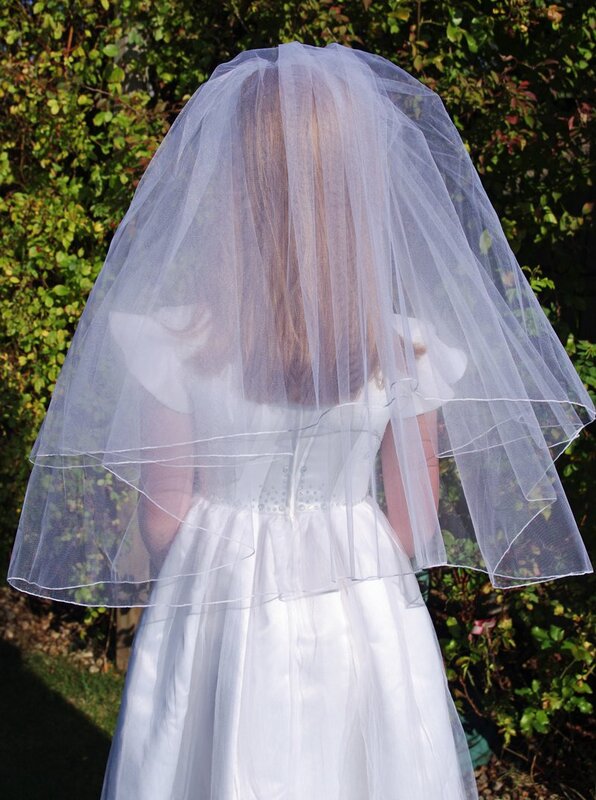 Gorgeous Communion Veil in soft White Tulle with a thin pencil edge. 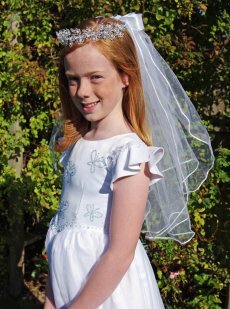 The Carla Communion Veil is pictured with our Isabella Communion Headband. 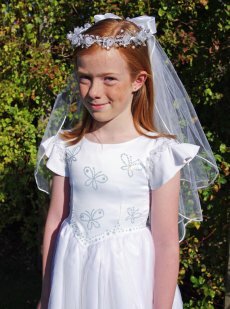 On receiving your Communion Veil, we recommend you un-pack the Veil and leave to hang for a few days for any creases to drop from the Veil. 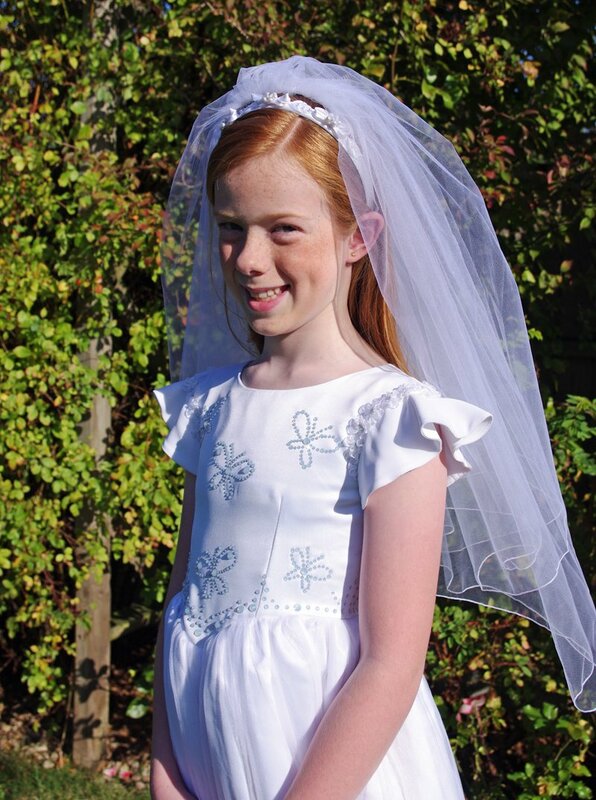 If you are a trade customer Login or Register.